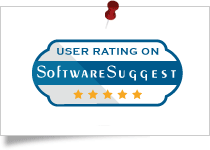 Support PST to NSF Migration for all Lotus Notes versions 9.0, 8.5, 8.0 & earlier versions. Microsoft Outlook to Lotus Notes converter exports the PST file from Outlook versions 2016, 2013, 2010, 2007 & all lower editions to NSF file format. 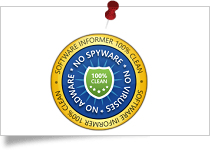 SysTools Outlook to Lotus Notes converter is the most downloaded software because of its simple interface by Software Informer. 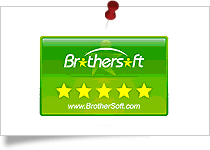 Softpedia rated this software 5 star because of its amazing features for complete Outlook to Lotus Notes migration. 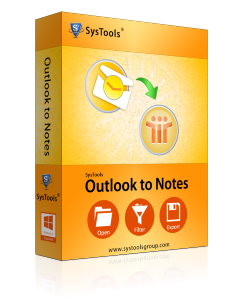 SysTools Outlook to Notes Converter tool is the most used tool and are recommended by its users out of their experience. MS Outlook PST to NSF converter allows you to migrate mailboxes from MS Outlook into Lotus Notes. You can convert all the items from PST file like; emails, contacts, calendars, tasks, journals etc. into NSF file and open them in Lotus Notes. It preserves all the associated meta properties like To, Cc, Bcc, dates, contact name, email id, meeting alerts, appointments, attachments etc. Outlook to Lotus Notes conversion tool has the option to export only selected items from your Outlook profile. This may include conversion of items like: emails, contacts, calendars, tasks, notes etc. ; to NSF file format. You can check / uncheck the items that you want / want not to export from Outlook to Lotus Notes. If you want to export selective emails from Outlook PST files to Lotus Notes then software provides a date filter. Using this option you can select a desirable date range with "From" and "To" dates and convert respective emails. In this way, you can save the time to export all emails unnecessarily; if you are not in need of them. While exporting the calendars from Outlook to Notes, you can set a specific date range to filter the calendars residing in that time frame. With this option, it will become easier for you to convert only chosen calendar entries from Outlook to Lotus Notes. Also, the software can migrate recurrences in your calendars or any recurrence calendar that you have created. MS Outlook Task is another very important item used for scheduling work. Now, if you want to export tasks from Outlook to Notes then apply the required filter in it. The software will keep all information intact while saving data from Notes Task folder. After MS Outlook to Lotus Notes migration, the software will maintain original folder structure of files and folders in proper order. There will be no change in hierarchy of Outlook PST file after they have been converted into resultant NSF file. Other than choosing a desired location for saving output data, you can also create a new folder at the location of your choice on the conversion machine. This way you can save the resultant NSF file separately for an organized storage. After deleting any email from Outlook, it get save into deleted items folder and usually we don't empty this folder due to which lot of messages remain stored in it. Although, the items in it are of no use, it increases the overall PST file size. Thus, while exporting Outlook to Notes, you can exclude the deleted items folder and save time. Step 4: Export Outlook to NSF File. Trial version of Outlook to Notes Converter Software preview all the Outlook PST items & Export 15 items per folder. What are the important features of Outlook PST to Lotus Notes converter? Add Outlook PST file by browsing. Now select categories such as emails, contacts, etc option for conversion. Apply Filter option for each Outlook PST items. Select destination location to save exported file. Now Export Outlook to Lotus Notes. Generate Status report of conversion progress. Can software work without Outlook installation? No, Outlook must be installed on conversion machine and configured properly with a POP3 / dummy profile and should not be connected to Exchange Server while conversion. PST to NSF Converter supports Outlook version of 2000, 2002, 2003, 2007, 2010, 2013 and 2016 (32 bit) as well. Getting pre-requisites error. Lotus Notes & its Component are shown with a cross sign. Why? Please check whether Lotus Notes is installed and configured on conversion machine or not. Ensure you have full admin rights on machine. Register nlsxbe.dll. Get more info about how to register nlsxbe.dll. Lotus Notes should be disconnected from Domino Server. Can I also convert Outlook attachments with this software? Yes, you can convert email attachments also with this software. Outlook to Notes Converter can convert emails with attachments along with email properties, calendars, contacts, tasks, journals etc. Is it possible to convert password protected Outlook PST files into NSF format? No, software will not convert password protected PST file but the password should be known. Once you open a protected PST, software will prompt you to provide its password the PST to NSF conversion become possible after only entering the correct password. What is the limitation for size of PST file that the tool will convert, if any? No, there is no such limitation in the Outlook to Notes Converter software. You can convert any size of PST file into NSF file format. Can I open the output NSF file created by the software in Lotus Notes version 9.0? Yes, you can open converted NSF file in Lotus Notes version 9.0 as well as 8.5, 8.0, 7.0, 6.5 etc. I want to convert all of my PST emails to NSF format except for the deleted emails. Does the tool help in anyway? Yes, Outlook to Lotus Notes Conversion software has an option to Exclude Deleted Items by which you can convert all PST emails except the deleted ones.